Cherry Green MX Switches are here. It seems that in the world of mechanical keyboards the harder something is to find, the more people want it. 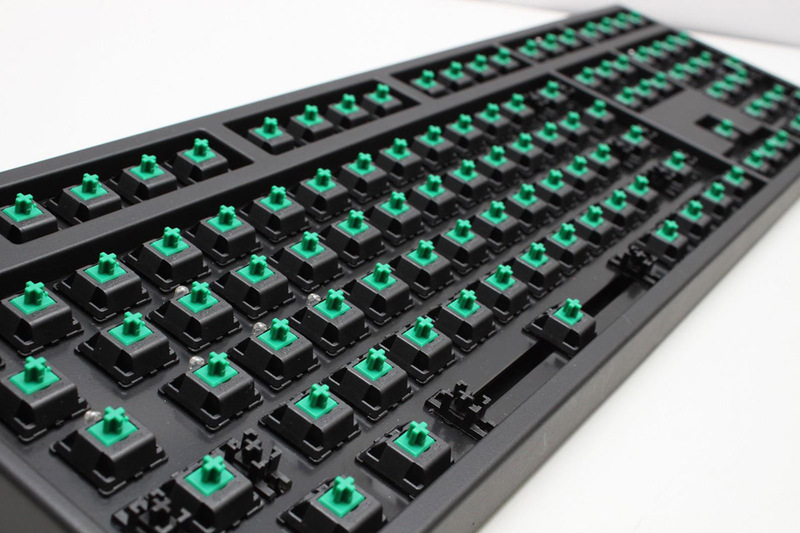 A mechanical keyboard with Green Cherry MX switches appears to be no exception. Dubbed the 'stiffer' Blue MX key switch, Cherry MX Greens offer the tactile feel and click of the Cherry Blue MX switches with a touch more force required to active. The result is a super clean, highly consistent feel I would argue is amongst the best Cherry has to offer. This amazing feel does come at a price; the wholesale Green MX switches come in at double that of a Blue or Black MX switch from Cherry. The lore of hard to find Cherry switches can be found on keyboard forums throughout the world on an almost daily basis. We're pleased to announce the day where lore becomes reality is rapidly approaching for one of those switches. While Cooler Master has been purporting their popular CM Rapid model will be the first to dawn Green MX Cherries in the United States, there is a challenger who begs to differ. Ducky Channel has announced a limited release of their new Green Cherry MX DK9008G2 Pro. Not only will this beauty be equipped with Green Cherry MX switches, but - sparing no expense - Ducky has arranged for PBT key caps with side laser engraving to sit atop these marvelous switches (cue drool). With the expected arrival date of November 21 - 27, 2012, you shouldn't have to wait too much longer to get your hands on one of these amazing keyboards.